Adding that to the list. I hope you’re writing btw. Oh good – blind alleys can often be the start of things, I think. You saw your psychiatrist last week? I got the date wrong, seeing mine tomorrow. Yes I saw my psychiatrist Friday and updated her on all the weirdness in my life. She is sending supplementary info to the insurance company because I am not ready to work but she does see improvement which I don’t always see because I have been sick with a cold and have zero tolerance for any challenges. She does not want to add or change any meds. See my family doctor tomorrow. Good to get an educated outside view, I hope the progress keeps progressing. Thanks and good luck to you with the psych visit at your end this week. Thanks bro. I just want December to be over. 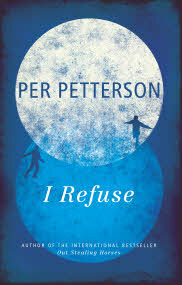 It’s interesting to see someone who has a Petterson novel on his or her list of favorites. I have a copy of Out Stealing Horses and I’m now interested to read it soon. Out Stealing Horses is a masterpiece. An excellent place to start.